Camping holidays in Spain are a glorious combination of sunshine, sandy beaches, rocky coves and traditional fishing villages, side-by-side with lively modern resorts. Couple that with the fact that campsites in Spain are of a fantastic quality and you have the recipe for a great holiday in the sun. With swimming pools, children’s clubs and plenty of onsite activities, our campsites are perfect for family camping holidays in Spain, but they’re also great for couples who want to experience the fantastic culture, language and history of this beautiful country. For an unforgettable camping holiday in Spain, let us help you choose the best campsite for you and your family. Our hand-picked campsites are specially chosen so you can experience these wonderful regions whatever you are looking for in your holiday.If this is your first time camping in Spain, you're in for a treat! Campsite Castell Mongri is a well-maintained site with superb facilities, located at the base of Rocamura Mountain and arranged in a series of steep terraces up the hillside. Campsite international De Calonge is set on a hillside overlooking the sweeping bay of Palamòs. This is a well run site with great facilities and a beautiful beach on the doorstep. Our accommodations are located on terraces at the top of the site. Considered to be one of Spain’s finest, the deluxe Camping Cypsela is set amidst a densely wooded area of the Costa Brava. The site has a private feel, with most of our accommodations shaded from the sun by mature trees and hedges. Campsite Creixell is a fun campsite on the coast, close to the ancient city of Tarragona. This family friendly campsite has lots of activities for all ages with tennis courts, two multi sports courts and the beach, just 200m away. Playa Montroig is set in a lush environment in an enviable location on the stunning Costa Dorada coast, just six miles from the bustling town of Cambrils. 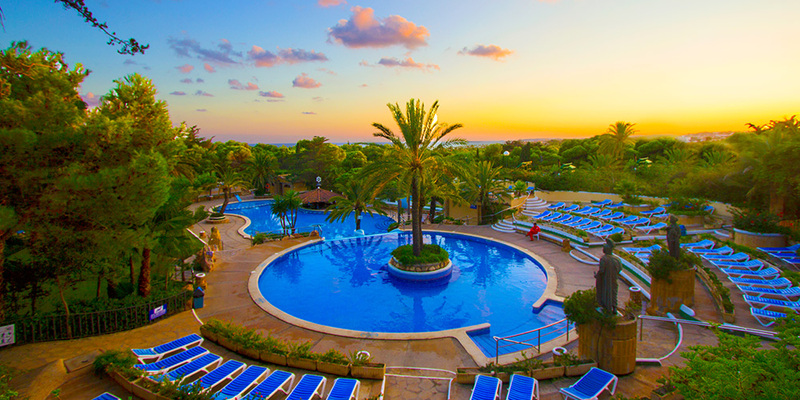 Campsite Park Playa Bara is a beautifully maintained lively site with a Mediterranean flavour. The central avenue is lined with palm trees, colourful flowers and cool ceramic tiled benches and leads to a beautiful sandy beach. Visit the colourful and vibrant city of Barcelona with the incredible sights of Antoni Gaudi’s architecture. Wander around and take in the sights of Parc Guell, Casa Battlo and the incredible Sagrada Familia. Hop on the city sightseeing bus to take in the highlights while staying cool! This stunning bay situated in the north-eastern corner of Spain is so spectacular that it’s in UNESCO’s ‘Most beautiful bays of the world’ club. In the bay there are lots of beaches and it’s surrounded by three national parks - perfect for a picnic. 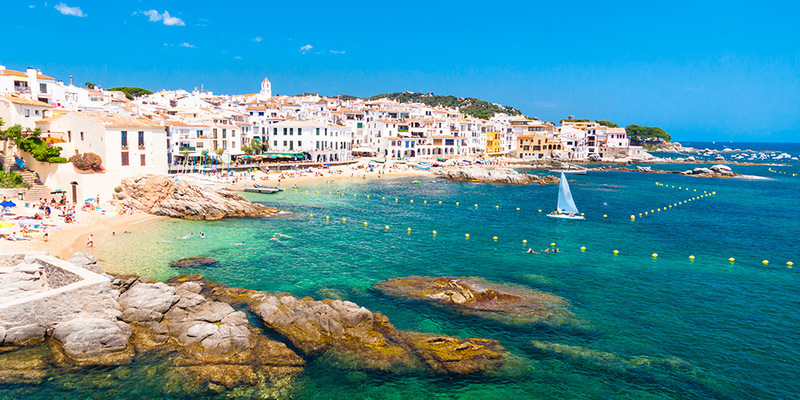 The Costa Brava coastline is dotted with pretty little fishing towns and coves. A few that are worth checking out, particularly for a fantastic seafood meal are Blanes, Palafrugell and Tamariu. You’ve probably tried Spanish food at home but nothing beats tapas and seafood paella made fresh and enjoyed in the sunshine washed down with some refreshing Sangria. In many parts of Spain dinner is eaten after 9pm but in the popular resorts food will be available all evening. Less than two hours flight from the UK, the Costa Brava and Costa Dorada are a hit with holidaymakers looking for a sun-drenched holiday in Spain. Our campsites in Spain are concentrated in both of these holiday destinations along the country’s beautiful north-east coastline. This wonderful coastline and blue flag beaches offer plenty of opportunities for those looking for sun, sea and sand, and water sport enthusiasts are well catered for. 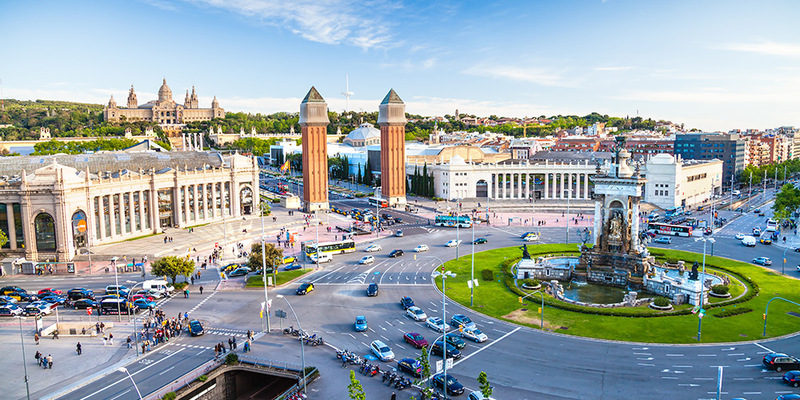 But away from the beaches, alternative experiences are abound, from quiet villages, mountain scenery, cultural sites, or a day trip to Barcelona.